First of all, the Cage Warriors set up looked entirely at home in the larger expanse of the Echo Arena. A sign of things to come, I feel. This was a simply stunning show, with a little bit of everything you could possibly want from an MMA show. Glasgow’s Dean Reilly started off the pro fights with a bang, earning the Knockout of the Night bonus for laying out Mick Kay in only 22 seconds. Nice one Dean. Fellow Dinky Ninja Mark Connor fell to Bryan Creighton’s D’Arce Choke, ending a career best three fight win streak. The Facebook prelims saw an awesome back and forth fight between Steve Dinsdale and Dan Rushworth which rightly earned on of the two Fight of the Night bonuses awarded and ended with Steve Dinsdale getting the decision. The other two Facebook fight saw Matt Inman and Saul Rogers pick up submission wins in a combined total of 2 minutes 41 seconds, leaving a chunk if time before the main card started, which is pretty rare on a Cage Warriors show. Chris Fishgold continued his winning ways against Pole Marcin Wrzosek with a second round TKO and we came on to the first of our fights disrupted by late replacements. Jack Mason was expected to win this and continue his stunning run of form en route to a welterweight title shot, but replacement Ali Arish had other ideas and matched ‘the Stone’ toe for toe, eventually taking a unanimous decision victory, two rounds to one. Next up, middleweights Leeroy Barnes and Norman Paraisy engaged in a battle of striking and bottom submission skills against takedowns, ground and pound and experience with Paraisy’s wrestling and experience taking a wafer thin decision, despite Barnes rocking him several times, coming close to a guillotine on a few occasions and busting him open. This is the most impressed I’ve ever been with Barnes, but Paraisy continues to act as a spoiler to the British talent. If he keeps this up, a match with Jesse Taylor could be very interesting indeed. Ronnie Mann returned to UKMMA and lost no time in showing his class with a quite spectacular performance against the tough and experienced Jose Luis Zapater. Slipping punches, unleashing lightning quick combos, leg kicks and knees of great power and accuracy, Mann put the whole 135lb division on notice by putting Zapater away with plenty time left in the first frame. In our co-main event we had adopted hometown hero and social media workhorse Danny Roberts looking to continue his perfect CWFC record against an opponent who was such a late replacement, he couldn’t even make the scheduled weigh ins on Friday. Ireland’s Henry Fadipe has always been a game and entertaining fighter, but surely at such late notice he was just a speedbump for Roberts? What ensued was a genuine contender for Fight of the Year as Fadipe’s power went up against Robert’s speed, with some hefty blows being landed by both men, both guys mixing it up with takedowns leading to submission attempts by both, and some awesome scrambles of both the beautiful and scrappy variety. Fadipe opened up Roberts head in a big way, I think early in the second round (I didn’t take notes) turning great big chunks of the canvas bloody and the bout was very close to being stopped as the doctor was called in. Bizarrely the injury seemed to light a fire under Roberts who was more aggressive afterwards and with Fadipe starting to fade a bit and reduced to some desperation attempts at leg locks, Roberts managed to take his back and sink in the rear naked choke for the win with about 90 seconds left. Seriously, seek out a video of this fight. It was GREAT. Danny Roberts advances to 4-0 in Cage Warriors and looks to me like the next best challenger for Cathal Pendred’s 170lb belt. In the main event, Paul Daley returns to Britain and as expected made short work of never-previously-knocked-out Lukasz Chlewicki. The Pole was by no means the can some were expecting, and certainly gave Semtex some blows to worry about, while courageously choosing to stand toe to toe with him. In the end, Semtex found his range and some truly nasty knees and elbows started getting through, with one elbow in particular opening up a horrid gash on the Pole’s head, which resulted in the doctor calling off the fight between rounds. This was a great card, with a little bit of everything and Cage Warriors again proved that their roster, matchmaking, production values and ambition make them the best promotion in Britain, probably the best in Europe and in my eyes at least, one of the top five MMA companies in the world. Next up, is their groundbreaking event in Grozny, Chechenya at the end of August, with the announcement that James Brum and Ivan Buschinger will join the already announced Pavel Kusch vs. Chris Scott on that event. We’ll bring you further announcements as they are made. Remember, it’s five points for getting the victor, three for picking how and a bonus one if you choose the round a stoppage occurs in. I really need to raise my game. Check out the replay of CWFC57 on Monday evening, stay tuned for any news on the upcoming shows in Grozny and Cardiff and next week we’ll be predicting UFC on FOX 8. 1. bearing or having a load; full: a loaded bus. 2. containing ammunition or an explosive charge: a loaded rifle. 3. (of a word, statement, or argument) charged with emotional or associative significance that hinders rational or unprejudiced consideration of the terms involved in a discourse. 4. Slang. – having a great deal of money, rich. 5. (of dice) weighted so as to increase the chances of certain combinations to appear face up when the dice are thrown. In almost every sense of the word, Cage Warriors 57 is loaded, simply one of the deepest UKMMA cards I’ve ever seen. It could maybe use a title match and a women’s match but you can’t have everything, and the fights we do have promise fireworks from top to bottom. 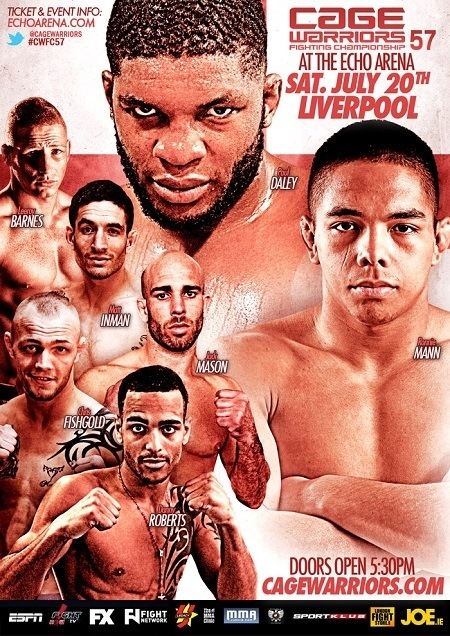 In the main event, we have the star power and sheer potential for explosive knockouts in the shape of Paul ‘Semtex’ Daley (32-12-2) on loan from Bellator while his visa issues are addressed and riding a streak of three consecutive knockout victories. One of the true ronin of the sport, Daley returns to CWFC for the first time since 2008 (this will be his fifth appearance in the promotion since 2003) looking to impress on a truly credible stage, having been denied a top platform since his win over Rudy Bears in his Bellator debut a year ago. Daley’s troubles in the past have always come from fighters who could (and wanted) to stifle him with wrestling or threaten him with the submission game he’s always been susceptible to and it looks like his opponent doesn’t fit into those categories, but that doesn’t mean it’s a gimme for Daley. Lukasz Chlewicki (10-2-1) is making his CWFC debut after amassing his experience in his native Poland and Eastern Europe and has half of his wins via TKO, with most of them coming in the first round. Daley is not the first top tier fighter Lukasz has faced, as he dropped a first round submission to Demian Maia (nothing to be ashamed of there) back in 2005 before taking a five year hiatus from the sport. Another veteran of the US scene comes back to UKMMA in the co-main event as submission wizard Ronnie Mann (21-6) makes his return after five years spent taking names in Sengoku, Strikeforce and Bellator. He faces experienced Spaniard, Jose Luis Zapater (17-9) who was riding a nine fight win streak before being knocked out by top ranked Sirwan Kakai back in March. Both men are best known for their ground games, but Zapater has shown a tendency to get knocked out, while competing at a generally lower level than Mann. 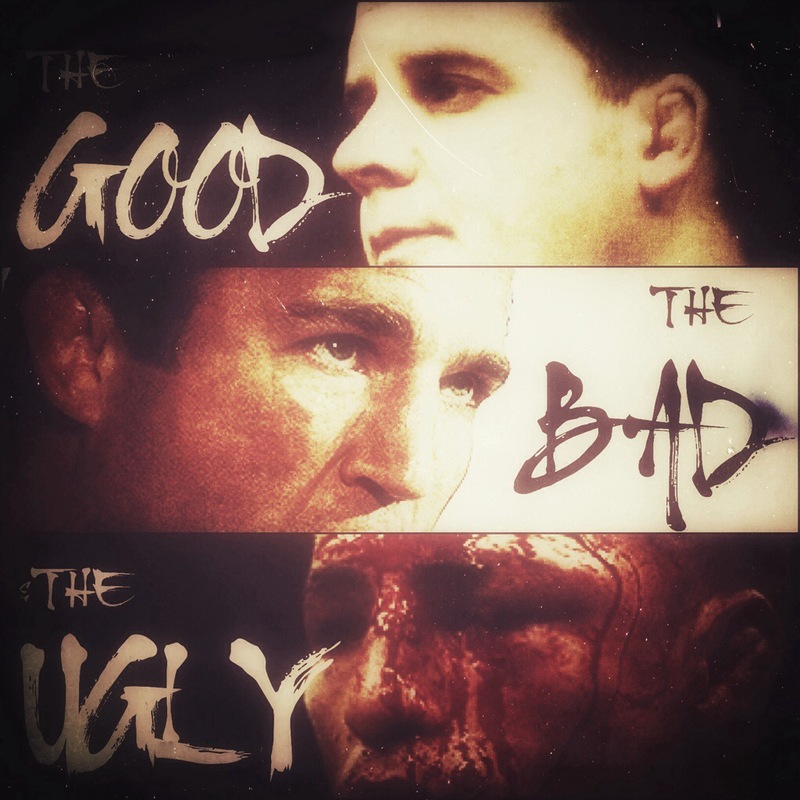 Still, if the last few weeks has taught us anything, it’s that there’s no such thing as a favourite in MMA. It’s at this point that I had to throw out the rest of my preview as a stack of late changes were inflicted on the card. Welterweight title hopefuls Danny ‘Hot Chocolate’ Roberts (8-1) and Jack ‘Stone’ Mason (24-11) had promising bouts against Mauro Chimento and Bruno Carvalho scrapped through injury and will now face Aldric Cassata (6-5) and Ali Arish (19-2) respectively while Mats Nilsson is still awaiting an opponent after Lee Chadwick also pulled out. The main card is rounded off by a Middleweight contest Leeroy Barnes (12-10, 1NC) makes his CWFC debut against the well travelled Norman Paraisy (11-3-2, 1NC) which promises to be a very interesting contest between two of Europe’s most exciting 185lbers. With the main card airing on subscription channel Premier Sports in the UK and online via MMA Junkie or cagewarriors.tv everywhere else, the free-everywhere undercard should definitely help sway those who think CWFC isn’t worth a Premier Sports subscription as we have intriguing fights featuring unbeaten Chris Fishgold (8-0) and a potential match of the year between Norway’s Mohsen Bahari (5-0) and Matt Inman (10-5). It’s really nice to have some quality fights on at a reasonable time on a Saturday night, and as usual Europe’s #1 promotion produced some truly quality fights. The Facebook streamed preliminary card featured two absolute wars between Jamie Rodgers & Brad Wheeler and Kris Edwards & Shaj Haque which had the Cardiff crowd warmed up from the off. Both bouts went to wafer thin split decisions and while Rogers and Haque took the nods, I’m loathe to call any of these guys losers. Also on the prelim card, Matt Inman broke a two fight skid with a TKO win over Leon Kenge in what was a very exciting scrap. Onto the main card and ‘Mr Pink’ Martin McDonough earned his fifth win in a row, again coming from behind to secure a submission victory, this time over Mark Platts. McDonough’s sweep to set up the victory was a thing of beauty, especially as he was in the process of being punched in the face at the time. With such a run of stoppage wins, McDonough must be in the running for the CWFC Bantamweight title tournament. Next up, another local favourite Brett Johns put on an awesome display, with perhaps the first time I’ve ever seen a Dinky Ninja get out grappled en route to a nasty KO victory via ground & pound over James Macalister. Johns showed the danger of his judo base, controlling the bout from start to finish and landing one particularly sweet judo throw. Veterans Ivan Buchinger and Jason Ball put on an entertaining but indecisive bout with Buchinger getting the nod from the judges to snap Ball’s two fight win streak and rebound from his crushing loss to Conor McGregor in December. Mark Glover came into this event as one of Cage Warriors marquee new signings, 18 months after a slot on the Ultimate Fighter but ring rust proved his undoing as Lewis Long used canny striking and a calm head to earn a clear unanimous decision victory. In the co-main event, active Twitterite Danny ‘Hot Chocolate’ Roberts scored a landmark victory with a quality striking performance against noted grappler Diego Gonzales which earned him a TKO2 win. The win advances Roberts to 8-1 and coming off wins over Gonzales and Jack Mason in Cage Warriors, he’s right in the mix in their stacked welterweight division. The main event saw Welsh fan favourite John Phillips looking to use his knockout power to win the Middleweight belt. However, Jesse Taylor showed his quality by taking him down and working for a rear naked choke in less than three minutes. It’s nothing to be ashamed of, being wrestled and subbed by a competitor of Taylor’s stature so Phillips shouldn’t feel too bad. This is the second time in a row that Taylor has used his trademark Team Quest skill set to silence a partisan crowd in a Cage Warriors main event and he looks to be in the form of his life, now on a 6-0 streak since his submission loss to then Welterweight champ Gael Grimaud last year. Who can wrest the CWFC 185lb belt from JT Money? We’ll find out, but first we’ve got CWFC Fight Night 8 from Jordan next week, with fights involving favourites like Jack Mason, Faycal Husin, James Brum and Mike Ling all being streamed live, worldwide once again. Stay tuned for our full previews of that event.